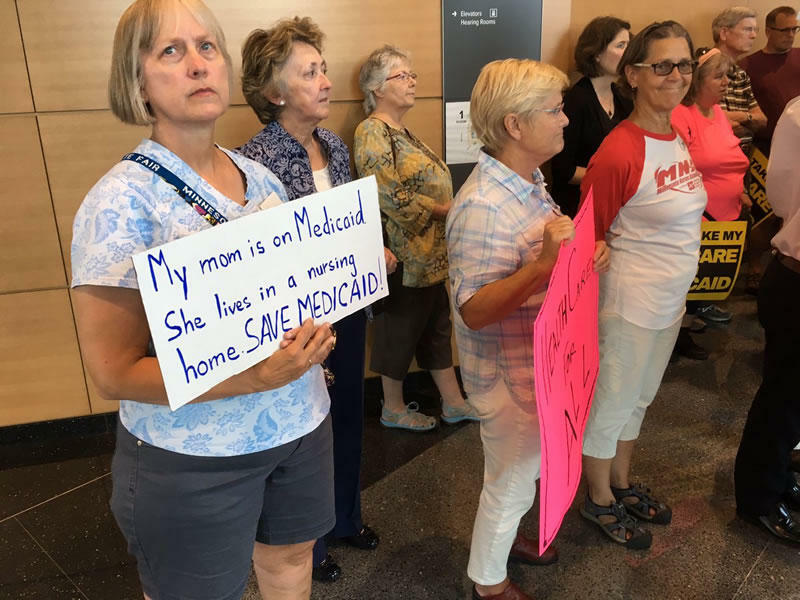 They asked Minnesota legislators what they are doing to protect and expand healthcare for families and called on elected officials to stand up for the federal Medicaid program and state-based MinnesotaCare. These health care programs “are essential to tens of thousands of Minnesota families,” organizers said. The Rev. Eric Hoffer of the faith group ISAIAH said access to health care is a moral issue. He said repeal of the federal Affordable Care Act – now being proposed by U.S. Senate Republicans – would affect among the most vulnerable in every community. The repeal of the ACA would cost Minnesota at least $2 billion in the first 18 months and cut health care access for 22 million Americans, organizers said. This year’s legislative session ended in a $500 million cut from Minnesota’s Health and Human Services budget, largely depleting the Healthcare Access Fund, which is meant to fund healthcare for vulnerable Minnesotans. “Concerned Minnesotans are holding their officials accountable, especially at a time when devastating federal changes are on the horizon,” ISAIAH said in a news release.